Aha!!! Happy New Year Guys. 2017 is finally here. And so are the resolutions. We all make resolutions at the start of every calendar year. Very common ones include, losing a few pounds, controlling diabetes, quit smoking, finding a better job, etc. 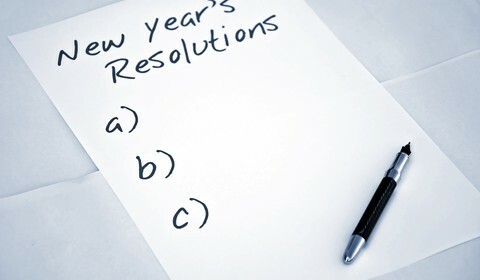 But how many of us actually make resolutions which are related with our financial health? C’mon …. Its New Year man. Give us a break. Not another lecture please. … Well I know many of you must be saying this, but at Moneypalm we consider you all our family and we will do all it takes to incorporate good financial habits in you. Taking care of each other, that’s what we do in the family, don’t we? So let’s make a few resolutions today which will help us and our loved ones in long run. We at Moneypalm Discount Brokerage have listed below few resolutions that every individual reading this article should make. Save atleast rupees 500 per day and invest the same every month. Saving Rupees atleast 500 per day means, saving Rupees 15,000 per month and some 1,80,000 per year. Taking out rupees 500 per day is not a big task but making an invest of Rs. 1,80,000 at a single go can be difficult. So keep saving and keep investing. Both are the key to our secured and happy financial future. You can invest in good stocks or Mutual Funds or SIPs or gold or even land. Asset creating is the main objective. Don’t invest in things which will depreciate in value over the time like cars or electronic gadgets. They depreciate very fast. Instead invest in things which will appreciate over time and give you good return for your money. Assets like stocks of good companies or commodities or real estate will appreciate with time and will help in wealth creation for you. Knowledge is power. Gaining knowledge about any subject will help you become an expert in that field. Think if you are an expert in the financial domain, you can always make right, informed decisions and that can actually help you in wealth creation. Why look for tips? Why not learn something new every day? Tell us if you find any difficulty, I assure you TradeTalk will always be there to help you out. This includes two things. First is buying a good medical insurance so it can take care of any unforeseen expenditure arising out of ill health. Second, but more important thing is to invest in eating good, dieticians, gyms, yoga, so you are always fit and may not have to see a doctor. Gone are the days when people were given a pension by government. Now most of us work in the private sector and anyways there are no pensions. So we should invest long term taking our retirement into consideration. Well these are just few of the resolutions that you can take. There are many more and can be need specific. The point here is we should have our financial goals and we should have the will power to actually achieve them. We would also like to hear about any other resolutions that you have made, and would be happy to help you in achieving those goals. Please do not hesitate to contact us if you need our help in any way. Once again, wishing you all a very happy new year. God bless you all.